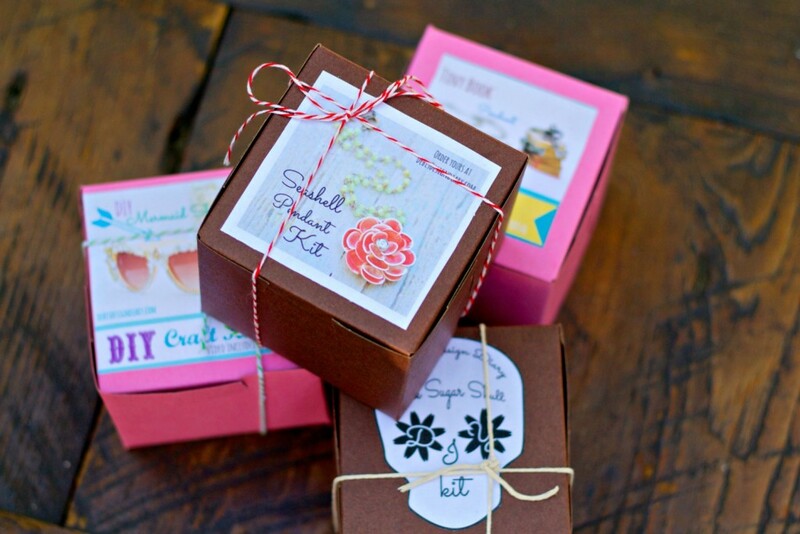 I sell a fun craft kit with everything you need to make this beautifully packaged with instructions or I have provided a list of individual products with links to purchase on Amazon. I walked into the kitchen telling myself that this time I might break her down, I handed the order form to my mom trying to act casual, as if checking off 12 boxes on the page was perfectly acceptable . “please Mom… two is not enough, I really need to have ALL of these, and a month takes forever! All the other kids get to order a bunch of books! My argument never worked, two books a month from the scholastic reading program is what our family budget allowed but at seven years old I didn’t understand budgets or restraint, I just wanted to read as many of the shiny colorful books in the catalog as possible. I have been thinking about my love of books a lot lately, some people say that reading books in on the decline even among avid book enthusiast! The book store in my neighborhood just closed last week and sadly I have not read a single book in the last two years. 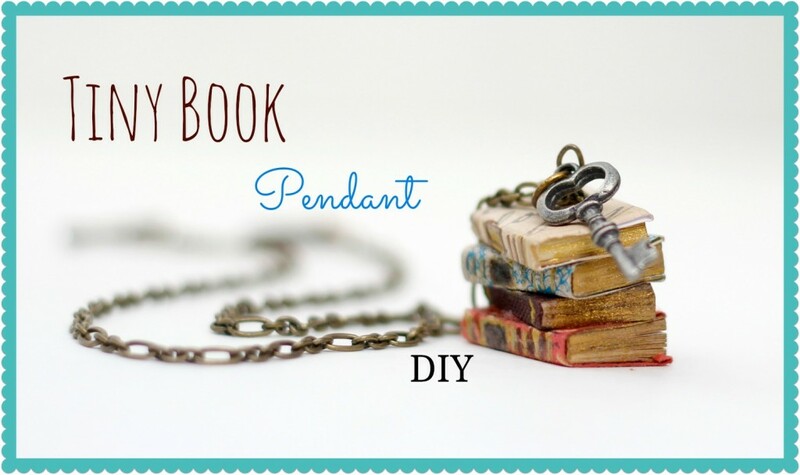 This weeks video is a DIY tribute to my long lost love of books, it’s for book worms everywhere! but all of that changed a few years ago, the last book I finished was in 2012… making youtube videos has been time consuming, I typically shut down my computer at midnight and my eyes are too strained after that to read. I was telling a friend how much I missed reading and she suggested audiobooks, for some reason I thought you had to buy dvd’s or have a special device to listen to them but I was wrong, you simply download and listen on your phone. I finished one of my first audio books last week, Creativity Inc. The story of Pixar an inside look into Disney Studios, the making the first computer animated film and the sub plot of how Steve Jobs saved Pixar from extinction. This book was a whirl wind ride, a great true story and an adventure full of inspiration and insight! With in minutes I was lost in another world mesmerized by the creative genius behind Pixar and vowed to never stray away from reading again. 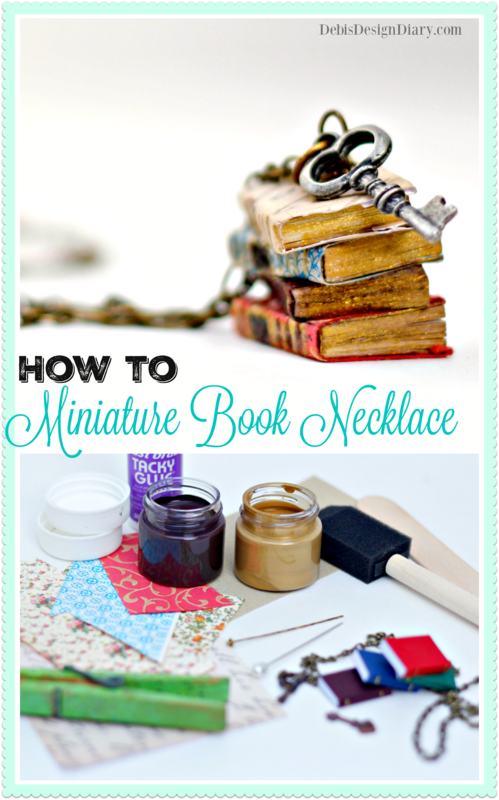 I wear my little book stack necklace as a reminder of my commitment to books. 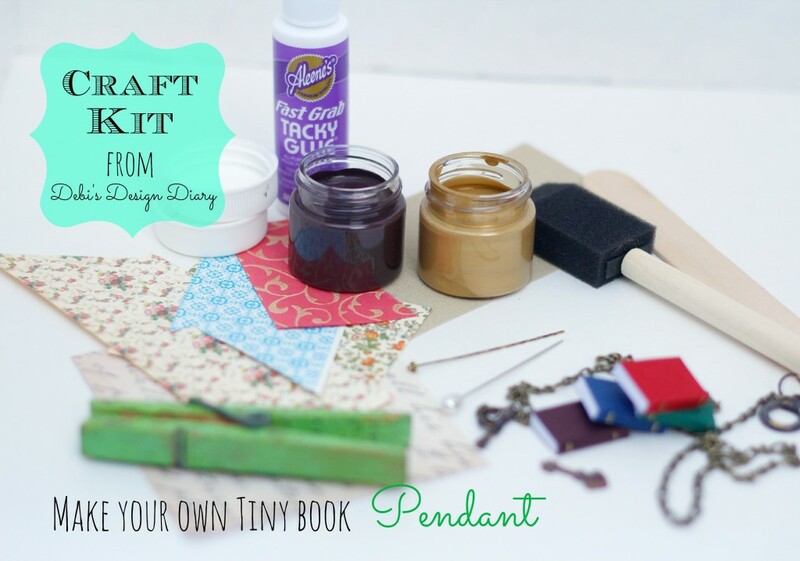 I created a kit with everything you need to make your own pendant. You can buy all of the supplies at a craft store or you can purchase the kit I put together here. I’m so excited about my new kit, it comes packaged in a pretty box, complete with instructions all the fun little supplies as well as a link to my video. I put my kits together with a lot of love because I want the presentation to be just as beautiful as the completed craft. I design them with the hope that they will not only be something you want to make but also a beautiful gift for a creative person in your life. Here is a link to the book I just finished, Creativity Inc. you can listen to it for free with my link http://audible.com/debisdesigndiary Audible has over 150,000 books to choose from and they are offering a free trial membership! I’m so excited about audiobooks I decided to listen to Creativity inc. a second time and then download another. Please leave recommendations for your favorite books in the comments, I have a lot of catching up to do! Gone Girl by Gillian Flynn is really good. I love this little video! $18 for the kit awesome. $100.00 for postage nope. Love your video, will go to the craft shop here. Loved this! Gotta go make one! Whatever happened to HONESTY? You are nowhere NEAR 40+ years old! Just watched your enjoyable and imaginative video; found myself wondering whether you had graduated from high school yet . . .